It’s the second week here in Puerto Rico! I’ve been learning a lot as an intern this time around both about myself and my relationship with God and about being a leader. This week we’ve been doing outreach and going to college campuses in the area to share the gospel as well as the beach and the Olympic training center of Puerto Rico. Some of my friends on the trip have had some amazing and fruitful conversations this week. My friend, Kerri, and I had a great conversation with a girl who goes to Colegio (University of Puerto Rico Mayaguez). We ran into her at the dining hall where we played solarium with her and found out that she is a believer in Jesus but does not have much Christian community at her new school. We gave her a Knowing God Personally booklet so just as a good reminder and then we sat and talked to her for about 2 hours. Kerri and I shared our experiences with her about how Cru and AIA have been the biggest blessings in our walks with God. At the end of the conversation, one of the other interns on the project, Keila, who is from PR came by. We introduced them so that our new friend could get involved in Cru and AIA at her new school. It’s always crazy to see how God brings new people into life and facilities great conversation. 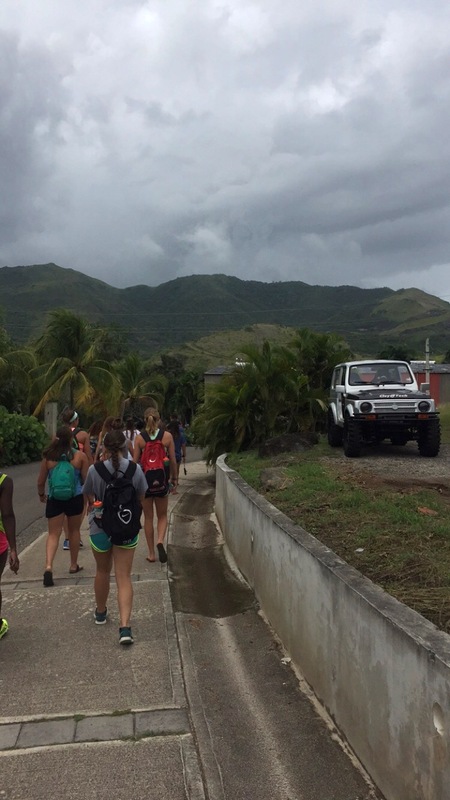 Today we all hopped into the vans and are headed towards the Puerto Rican Olympic training center. Praying for some opportunity and good conversation. Ill let you know how it goes! Previous Previous post: Hasta La Vista!